Our Buddleia Miss Ruby really is a fantastic plant. A real sweetheart of a plant that is highly regarded and noted for a compact habit and amazing flower production and colour. Buddleja Miss Ruby really does have vivid rich colour unlike any other buddleia. The flower colour is rich reddish-pink, the like of which we have never seen so bright on a buddleja before. The plants are really well branched, which means extra florets of blooms compared to other varieties, and these appear all summer long. She also has lovely silver hints to the leaves, making this new butterfly bush absolutely beautiful. 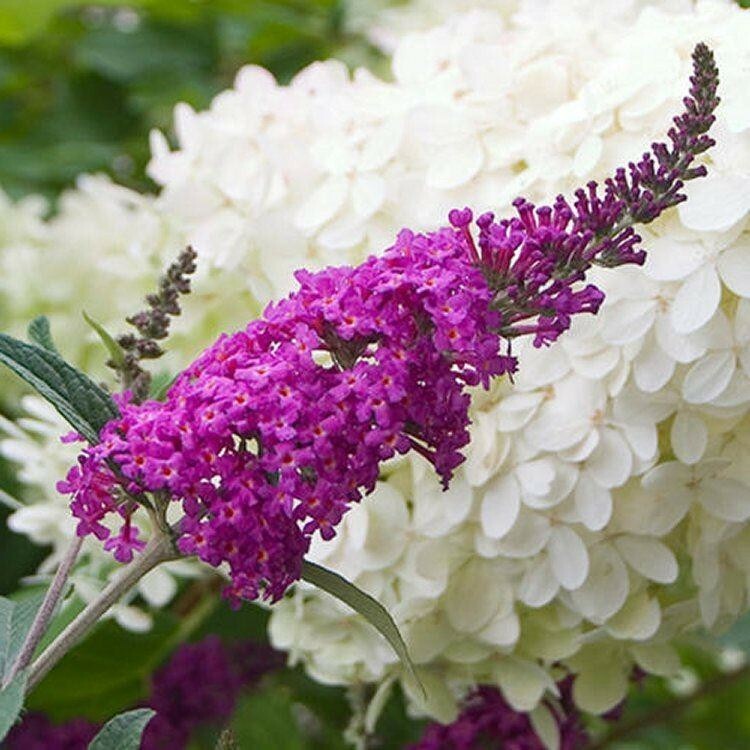 Not only this, but consistently in growth trials at the Royal Horticultural Society gardens in Wisley, Buddleia 'Miss Ruby' was the top public vote winner from over 100 varieties worldwide! The butterflies were pretty impressed too! Supplied in approx 3 litre containers, buy Buddleia Miss Ruby for your garden today, and enjoy her beauty for years to come.